Reese: I’m thankful for platelets because they help you when you fall down and hurt yourself. James was 3 and a half in early September and in true middle child fashion, his update never happened. Sorry buddy, but from one middle child to another, you’ll get used to it. You are feisty, you are loud, you are devastatingly handsome, and you are wild and crazy. You couldn’t be more different from your sister at this age. Your true loves include trucks, trains, Star Wars, MagnaTiles, Iron Man, selfies, riding your bike, the police, swimming, wrestling, Legos, and pretending to shoot things. You love peanut butter, jelly, rice cakes, cereal, and little other food. You love “cozy pants” and refuse to wear any pants that have buttons on them. I fight you on this, but I get it, no one loves an elastic waistband more than your mom. You fight with Reese daily, but when she gets home from school you light up. You are doing so well with your new little sister. I know you notice the extra time I have to spend with June, but you never direct your frustrations at her. You are only jealous that she gets to wake up in the night to eat. You continue to be my biggest challenge in the parenting department. Sorry son, but it’s true, we usually go to battle an average of three times a day. The terrible two’s have reappeared as the threatening threes (as in me threatening you 24/7, and you threatening my sanity.) You are the sweetest boy ever about 75% of the time, but the other 25% of the time you will cut a b. You regularly tell me that you are never playing with me again, throw toys, stomp your feet, melt to the floor and turn to rubber, and then minutes later reappear asking for some crackers. I usually avoid taking you to places like the mall and the grocery store because you are getting bigger and stronger and I’m not sure how much longer I will be able to throw you over my shoulder and get the hell out of there when the need arises. The need usually arises. You go to the school twice a week from 9-1 PM and it is everything to you. You love getting your backpack and your lunch box and going off to school just like Reese. Despite said behavior at home, you are an angel at school. You would take a nap everyday if we had time for it. You love your midday snoozes and you still love to cuddle with your mamma. Lately you have been waking up scared in the middle of the night but your Dad can usually get you right back down. Going to sleep at night is another story. We put you and Reese to bed around 7/7:30 and for the next hour (sometimes more), you can be found laying in the hallway, busting into Reese’s room and being a general annoyance, calling to Andrew and I for water, hugs, tuck-ins, complaining of phantom injuries, etc. Oftentimes you appear in the living room doorway because, “I just had to tell you something.” “Something” is usually an arbitrary question about Star Wars, or a request to borrow our phones. We love you sweet James, more than you will ever know. As our third child, June really shouldn’t need anything. I saved EVERYTHING from Reese and James’s baby days. Clothes, shoes, toys, bassinets, cribs, rockers, literally everything. When I was pregnant I was determined not to buy anything else, baby stuff has a way of slowly taking over your house until you are drowning in it. And baby instagrams, blogs, and advertisers make you think that you need EVERYTHING! I mean how did the pilgrims ever have all those children without an HD video monitor that could connect to Wifi so they could share snapshots with their friends?? Times were trying. However, after our first sleepless night in the hospital (June had a marathon night where she was awake and fussing from 11 PM until 5 AM), Andrew and I would have paid any amount of money for any magic sleep suit, dock a kid, miracle bed, whatever! We have softened in our old age and one sleepless night had us Amazon Priming it up at 5:30 AM, in search of some baby sleep trick gimmick. Since being home, there are a few things that have made these first few weeks easier, and a few that I could not have lived without. I know I am late to the party on this one, but this thing has been saving us at night. We got a hand me down rock and play from my sister and June has slept in it almost every night since we got home. She sleeps so much better in this than in the co-sleeper that we have. The co-sleeper was initially attractive to me because it kept the baby close to me and was also recommended for moms who had c-sections because you wouldn’t have to get out of the bed to get the baby. I didn’t find it easier though, I still had to completely sit up then kneel and reach into the bassinet to get her and lift her out. It was an awkward motion and after the first night I was in pain from all the moving. I don’t know if it was just our bed, but the sleeper never lined up directly with our bed, so I couldn’t just roll the baby into my bed and feed her, which is what I had imagined. The downside of the rock and play is that I did have to get completely out of bed to get the baby when she woke, but it cradled her, and she wasn’t just lying flat on a firm mattress like in a crib or bassinet. June loves it, and right now, she sleeps for 3 and sometimes even 4 hour stretches in it at night. I wish I had had this for Reese and James! I have used these with all of my kids and they are the best, especially in the first few weeks when the babies are itty bitty and still craving that womb-like feeling. Having their hands cuddled inside stopped their startle reflex from constantly waking them, and since you can’t use blankets, I never had to worry about them being cold. Also, the SwaddleMe brand was my favorite because the newborn sizes fit June perfectly and they never creep up around her face and mouth like some of the other brands do. I love reusable things. With the first two kids, I used disposable nursing pads, which were fine, but if I ran out of them I was screwed would have to stuff toilet paper in my bra all day long. I also hated how fast I went through them. This time I tried some organic bamboo nursing pads that I found on Amazon and I LOVE them. They are super absorbent and soft, you can wear them longer than the disposable ones and you can use them over and over. They are a little more bulky, so sometimes they can show through a thinner bra and shirt, but for the most part I love these. They are machine washable (I just throw them in with our regular laundry) and even come with a washing bag so they don’t get lost in the black holes that are my washer and dryer. Insurance will now give you a free breast pump (holler!) but I still use the one that I got when Reese was born, the Medela Freestyle. 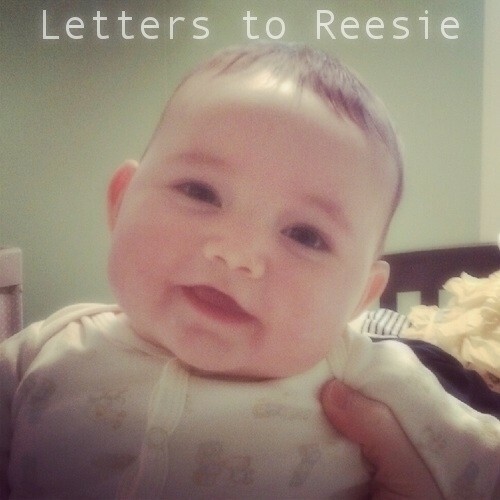 My insurance didn’t provide a pump when Reese was born, but I was working at the time, pumping three times a day, and needed something that was easy. I bought the Freestyle and I don’t think I could have lasted a year of breastfeeding without it. It’s hands-free so I could continue working while I was pumping and the pump itself is small enough to hold in one hand and walk around with if needed. The battery life is long, so you aren’t tied to a plug the whole time you’re pumping, and the bag and cooler that are provided are small and make transporting everything easy. When I had James I got the free pump that insurance provided but ended up donating it because I just continued to use the Freestyle. This time, after hearing that my pump was 5 years old the nurses at the hospital basically insisted that I get a new one through insurance. The Freestyle isn’t covered completely, so you still have to pay out-of-pocket for a portion of it (I’m not exactly sure how much.) But because of that, I just got one that was free, the Medela Pump in Style. I still prefer the Freestyle though and continue to use it, and after two years of pumping it still works great. If you are working and planning on breastfeeding I would definitely recommend paying more for the Freestyle; the bag, the hands-free option and the small size make everything SO much easier. If you won’t need something every day, I would just use the free one through insurance; the Pump In Style gets the job done it’s just harder to tote around and doesn’t come with a bag to carry all that crap in. On the last day of nursery school the same photobomber from the first day was still wreaking havoc on our photo taking. Reese officially finished nursery school in mid June and it was bittersweet to say goodbye to her lovely little school. James will start there two days a week next year, so we aren’t leaving it completely but Reese loved everything about her school so much and I know she misses it. She is as pumped as ever for full day kindergarten next year, and Andrew and I are excited to see her in this new phase in her life, even if I will miss my little helper every day. Can someone take James all day instead? Just kidding Jamers. James: You’ll never get away with this! James: Do you have your shirt on when you die? This was all about 5 months ago, but better late than never I suppose. A good lesson we learned this year is, don’t give your kids green lollipops BEFORE you are done taking photos. Their mouths and the surrounding areas will inevitably turn green and they will end up looking like the Hulk, and in James’ case, acting like the Hulk as well. We promised them lollipops if they cooperated. James did not pretend to cooperate, not even for a second, so we gave him the lollipop early, then tried to TAKE THE LOLLIPOP AWAY, and make him pose for more photos. Thus, tantrums ensued and we can only blame ourselves. Here are our Christmas card outtakes.